Today during writing time today we played a game in groups where we had to come up with as many adjectives to describe a picture shown to us. We had 60 seconds. The group with the most adjectives scored a point. The competition was intense! 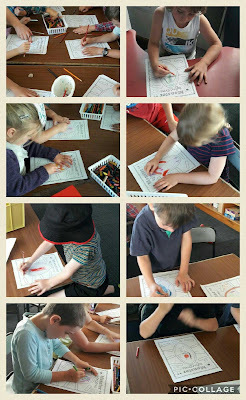 The pictures were of a volcano, an ice berg, a grizzly bear, and we finished with a monster. Following this we listened to a picture book from the 'story on line' website called Monsters Under my Bed. Next we used a planning sheet to brainstorm great adjectives to describe our own monster. 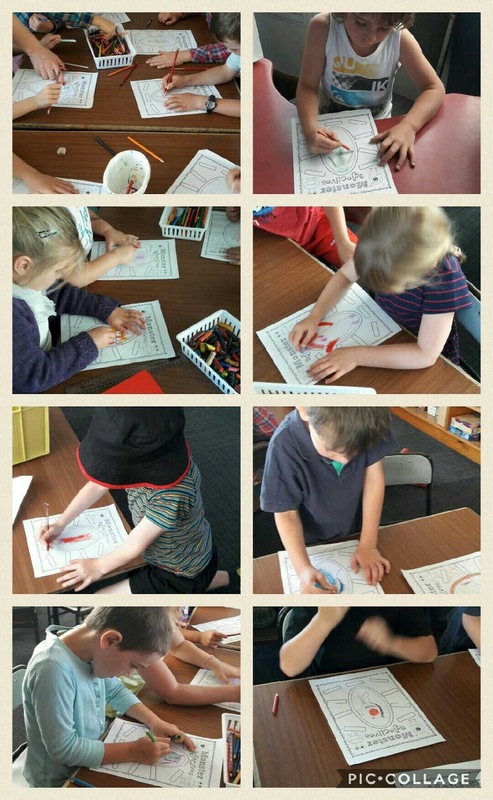 The monsters looked incredible and we came up with many adjectives. We will use this planning sheet to write a character description over the next week. This is us working on our plan!